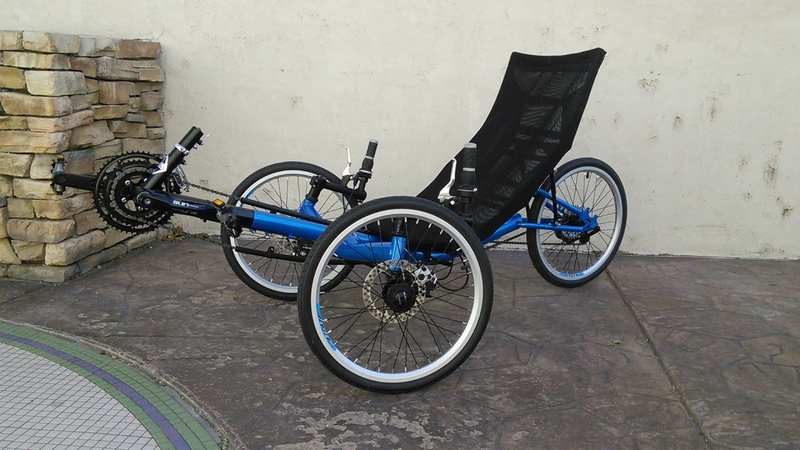 Looking for an intermediate cost effective trike? Look no further. The Sun T-3 CX is your trike. The T-3 CX is a well priced trike for the masses. With tons of adjustability, a comfortable seat, and wide gear range, you are bound to get many enjoyable miles out of it. 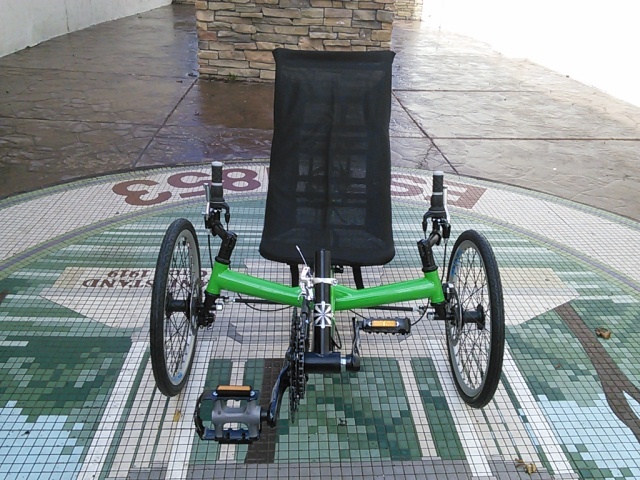 This trike gives you plenty of options to fine tune the seat. There are a set of pins at the rear to change the seat angle, giving you the perfect recline. The CX also has multiple positions along the frame to adjust the position for your leg length. Fine tuning the leg length is done by adjusting the boom. The trike can be shared by moving the seat, but does not always allow you to get perfect adjustment. The Sun T-3 CX has a full mesh seat which breaths quite well, and keeps your back side cool. With the adjustability that was mentioned before, you can fine tune the comfort for your body type. Comfort is probably one of the most important aspects of a trike, as most people get a trike for comfort, and this trike does not disappoint. 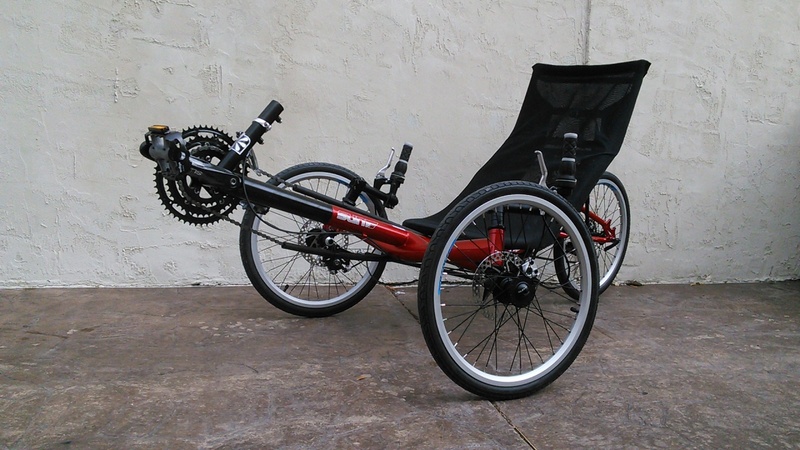 Sun offers great quality in all their trikes, and the T-3 CX is no different. The frame is a high grade, lightweight steel, with the seat frame being made of aluminum. Both the shifters and derailleurs are good quality, and give a confident, accurate shift. The wheels are a machine built 36-spoke, double walled to increase strength and reduce the need for truing. Sun has been building trikes for quite some time, and understands that people want something that won�t break after just a short time of riding. While they may be a little heavier, the Sun T-3 CX will last many many miles. The T-3 is probably one of the easiest trikes to ride. The steering is stable and intuitive, also the brakes have a good feel and provide plenty of power. At 12.5� the seat is very accessible as well, making for easy mounting and dismounting. All in all the Sun T-3 CX is a fantastic trike for the money. Combining good quality components with a high quality frame, this trike gives you a great platform for leisure riding, light commuting, and light touring, with adjustability to fit any rider body type.